Nick Harris, Digital Creative Producer chats with Curator of Modern Money, Tom Hockenhull, and Museum Historian, Marjorie Caygill, about how the Museum dealt with the threat from German bombers during the Blitz. Find out more about the British Museum’s activities during the Second World War. 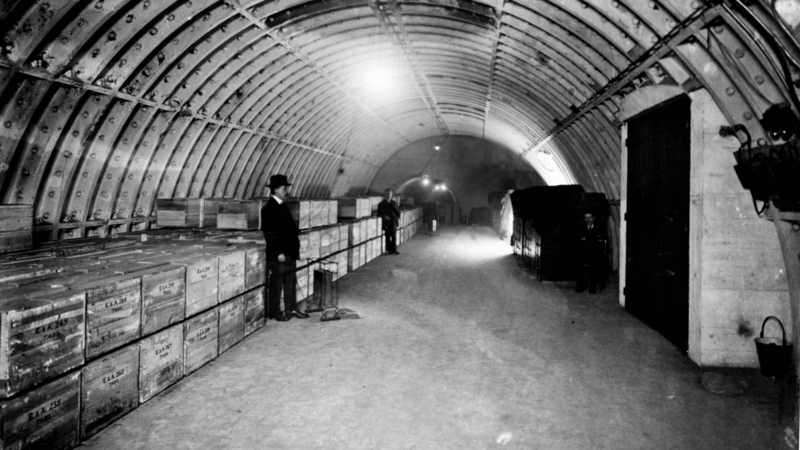 Watch the video below to find out how an unused tube tunnel, in an underused and unfinished London underground station, was used to protect thousands of British Museum objects from the Blitz.